Big Sky Inflatables, LLC was established in September of 2006 by Rich and Amy Stuber of Missoula, Montana. Big Sky Inflatables (BSI), “Home of the Water Master,” is dedicated to providing our customers with the highest quality inflatables on the market as well as unbeatable customer service and product support. 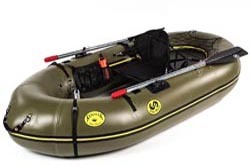 The Kodiak Raft Package was designed to meet the needs of our most demanding customers. 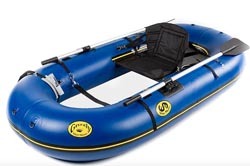 The Water Master Grizzly Raft has been tried, tested, and proven on rivers, lakes, and salt water flats all over the world. ~ Want to wade? Just stand up!